The USS Little Rock (LCS-9) is the ninth Littoral Combat Ship made for the US Navy. It features all the goodies, or better yet, lacks all the goodies, headed for this ship class overall. 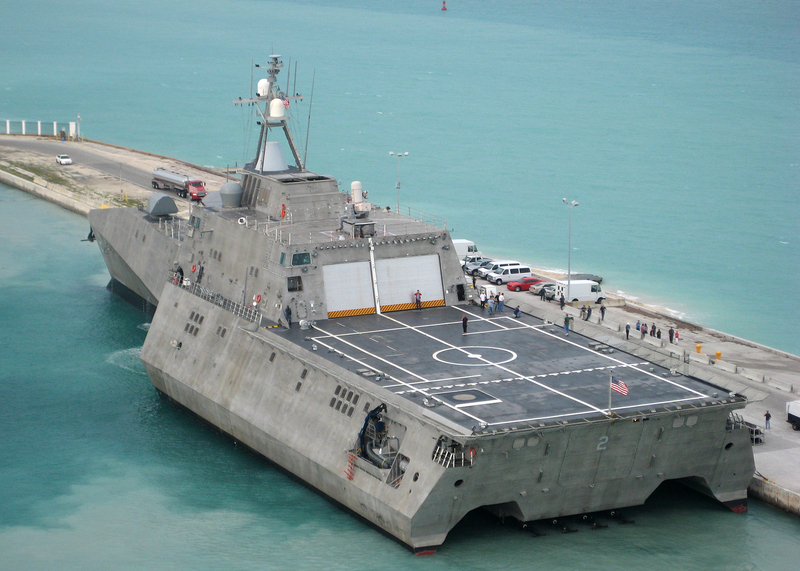 If the F-35 is the air force bottomless pit, it seems the Littoral Combat Ship is the Navy version of the money draining program, destined to be more expensive and to do less than their peers in various missions. While its role still isn’t decided, these ships are being churn out at a steady rate and some of them are waiting for retrofitting, as will be the case with USS Little Rock in a few months as well. The concept behind the littoral combat ship, as described by former Secretary of the Navy Gordon R. England, is to “create a small, fast, maneuverable and relatively inexpensive member of the DD(X) family of ships.” The ship is easy to reconfigure for different roles, including anti-submarine warfare, mine countermeasures, anti-surface warfare, intelligence, surveillance and reconnaissance, homeland defense, maritime intercept, special operations, and logistics. Due to its modular design, the LCS is supposed to be able to replace slower, more specialized ships in the Navy inventory. This includes different ships such as minesweepers and larger assault vessels as well. This is the theory behind this where this all remains to be seen how well it goes in real life events. On the other hand, they look extremely cool and provide that futuristic outlook on the Navy’s future if we’re being honest. However they cost too much, their role is not yet properly identified, they lack firepower, there will be less of them than needed, but overall the production is going through no matter what we say now. Here is the The USS Little Rock (LCS-9), the ninth Littoral Combat Ship made for the US Navy, being launched in Marinette Marine’s ship-building facility along the Menominee River in Wisconsin. Enjoy!